Being a fairly new country, Australia does not have the copious amounts of historic old architecture like European cities have. We have researched the best heritage redevelopments for 2014 and have come up with the Goods Shed, Harbour Mill, Mildura Base Hospital and Boggo Road Gaol. By maintaing some of the original aspects of these buildings, the architectural history of these beautiful structures will remain for future generations of Australians. is a former train goods shed. It was originally built in the 1800s and was eventually became redundant in the 1980s. Over time, the shed became split in two, the north and south sections, by the Collins Street extension. The building was refurbished and the two buildings became separate entities. The north building became known as the Lantern building due to its design of glass panels giving the image of a glass lantern. This building gives entrance to the south shed. The south side of the building became Goods Shed 707 Collins Street and now houses offices for Pearson Australia and Penguin Random House. The Goods Shed is also home to the Kool Kidz childcare. The refurbishment for the two halves of the building was completed in 2010 and this year both halves were awarded a Green Five Star rating. This rating comes from the Environmentally Sustainable Design initiatives taken. By using materials from the original structure and new environmentally friendly materials including recycled ones, the building meets the criteria for the award. This makes the building the oldest building to receive the award. “…The Goods Shed South and the Lantern Building demonstrates that green features are not limited to new buildings, but with innovation and commitment can be achieved in heritage-listed buildings too,” said chief executive of the Green Building Council (GBCA) of Australia, Romilly Madew. However, now there is debate about whether to keep the north section of the building is to be kept. In May of this year, plans were released for the possible destruction of 710 Collins Street, which was turned into a three storey building, as well as other parts of the heritage listed building. While heritage groups were against the destruction, an article was released in May said there was no opposition against the destruction. However, in September the plans for the demolition were rejected by Heritage Victoria executive director Tim Smith because of the damage it would cause to the structure that would be left behind. , in Sydney New South Wales, was one of Sydney’s longest serving flour mills. In 1911, it underwent its first redevelopment, after a fire ruined most of the building. After nearly 100 years of operation, the mill finally closed in 1996. A large amount of the original structure of the building is still standing today, but the building has been redeveloped for other uses. In 2012, the building underwent its second redevelopment, to add a modern touch to the heritage listed building. It is now made of two separate buildings, one a four storey building where the original heritage building was, and another ten storey building which greatly overshadows the smaller of the two. What was originally a harbour mill is now a set of one, two and three bedroom apartments, with retail space on the first floor, a communal gym and an outdoor recreation area. Ceerose is the developing company responsible for the modernisation of the building by turning it into high-class apartments. Prices for the apartments started at $395,00 and went up. The floor space for the apartments will range, with 32 studio apartments at 40 to 69 square meters, 51 one-bedrooms at 55 to 75 square meters, 45 two-bedroom apartments at 80 to 98 square meters. There will also be eight larger apartments ranging from 100 to 122 square meters in size. The apartments weren’t the only selling point, with the location of the mill being within proximity to Darling Harbour and into the CBD, as well as Sydney University, multiple other shopping destinations. Completion for the apartment block, designed by Grimshaw architects, is expected in 2015. The site of the Mildura Base Hospital in Victoria was purchased earlier this year by a developer who plans to redevelop the building for other use. However, due to the heritage of the building, it is important that the original look be kept. Planning consultant of the project Warrick Fisher has said that even while some of the original building will be developed, some parts will be kept. Money from the sale which occurred in February of this year, is said to be going into vital services and infrastructure in Victoria, such as schools, roads and hospitals. The hospital was decommissioned back in 2000 and has been on the market since, until a local Mildura developer expressed interest in the site, before purchasing it for an undisclosed amount. The building was left to stand deserted after everything was moved to what is now known as the Mildura Base Hospital and had no use until the purchase. Now, the unused building will be turned into apartments, office space and a conference centre. Final designs and ideas for the apartment and office building are still being drawn up and may take a few months to be finalised. Once planning has commenced, building will begin and is expected to take two years to fully complete. 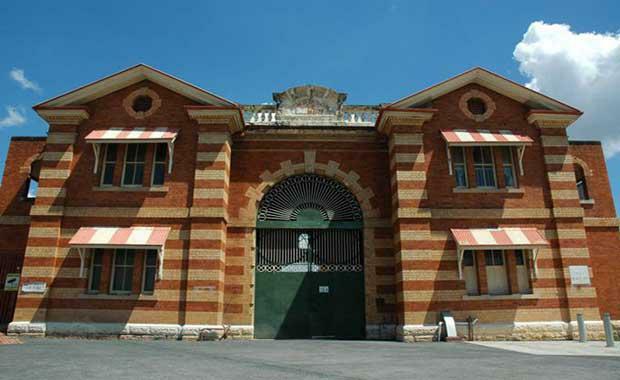 When the Boggo Road Gaol was in operation, it was officially known as Brisbane Prison. It opened in 1883 and was used to hold prisoners who were serving short sentences, but became known for its executions. In 1903 a new separate women’s prison was built. When that closed 20 years later after the women were moved to another part of the prison site, it was used to hold some of the longer serving prisoners. These prisoners came from St Helena Island in Moreton Bay and were prisoners convicted of murder and violence. This section became known as section two and was closed in 1989. However, the Boggo Road Gaol site is set to be redeveloped, after a $300 million redevelopment plan was released in October. Leighton Properties are responsible for the plans for the site. The new site is set to have a community hub featuring cafes, restaurants and a marketplace that will be in and around the gaol walls. There will also be a museum and tours of the site will continue, as a way to encourage the learning of the site to the community. The redevelopment and the continual work in the community hub is expected to help create jobs, which will add to the Brisbane economy. Of course, due to the heritage listing of the site, not all of it will be demolished in the redevelopment, with some original buildings and structures being kept and reused. Plans for the future redevelopment haven’t been finalised yet, nor is a date for building to begin.